I occasionally like to enjoy an "adult beverage" on a hot summer day. 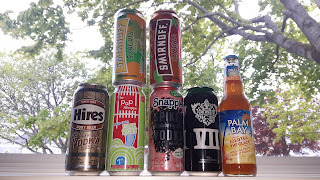 There was so much to choose from when I went to the liquor store that I decided to buy a selection and review my choices. 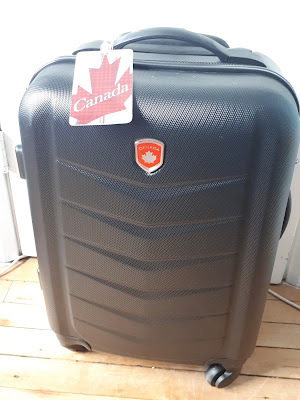 I did not receive any of these products for free and all of the opinions are my own. 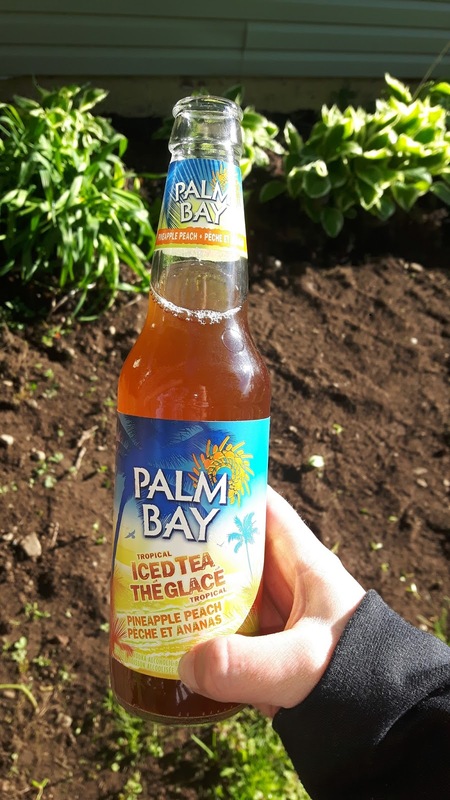 My first selection was Palm Bay Iced Tea. I've had some Palm Bay beverages previously and I expected this to be pretty sweet. I was surprised to find it wasn't as sweet as expected. At the same time, it didn't taste like "iced tea", in my opinion. It was a subdued peach flavour. Not overwhelming. If you're looking for basically a "hard iced tea", this did not fit the bill for me. That being said, the peach flavour was still quite good. Next I tried Smirnoff's Red Sangria. 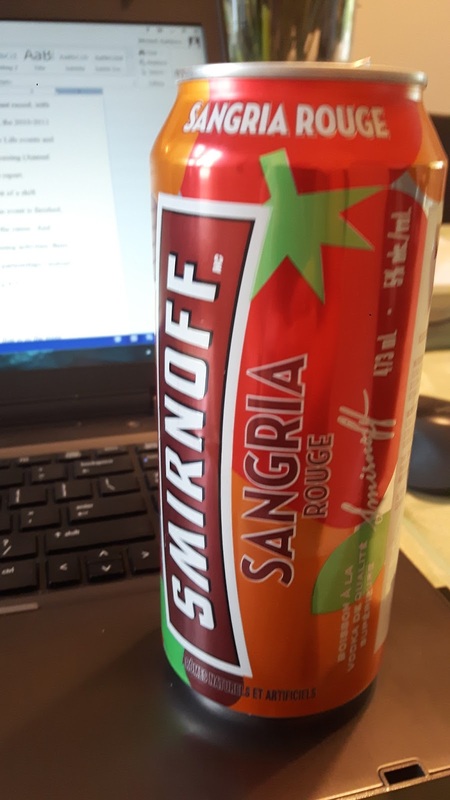 Let me start by saying, I am a Sangria fan, so I had high expectations for this one. It was very good, a blend of fruit flavours. While I liked this one, I did prefer the white sangria (see the next beverage). As mentioned, I am a Sangria fan. I enjoyed the red sangria, but Smirnoff's White Sangria was my favourite. More of a citrus flavour. Crisp, clean and delicious taste. This was my favourite of all of the drinks in this post. I love Pop Shoppe, so I had high hopes for this one. 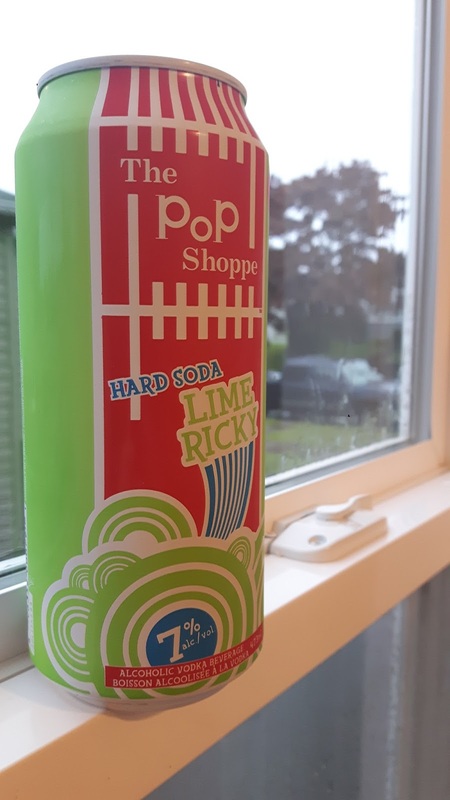 The Pop Shoppe Hard Soda - Lime Ricky flavour had the Lime Ricky flavour of the classic soda, however, I felt there was a strong alcohol taste. If you like your vodka taste to be prominent, this is the one for you. 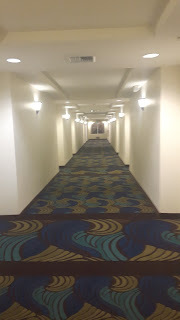 Unfortunately for me, this was my least favourite. I will admit that I hesitated to buy he Hires Root Beer and Vodka. 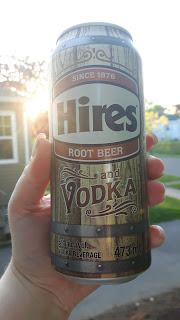 I had previously tried a hard root beer that I still have nightmares about. That one was a beer blend, and the after taste was awful. This one, on the other hand, was absolutely delicious! If you like root beer, this one is for you. It tastes just like the classic Hires Root Beer. This ranks up there with the white sangria as one of my favourites. The Smirnoff VII Watermelon drink was the drink I chose with the highest alcohol content (this one has 7%. 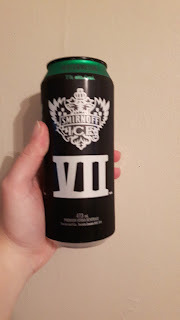 I was expecting a heavy vodka taste, and while there was a bit of an alcohol after taste, it was only mild. I really enjoyed the Watermelon flavour. The last one I didn't snap a picture of before I drank it, but it is the Snapple "Spiked". 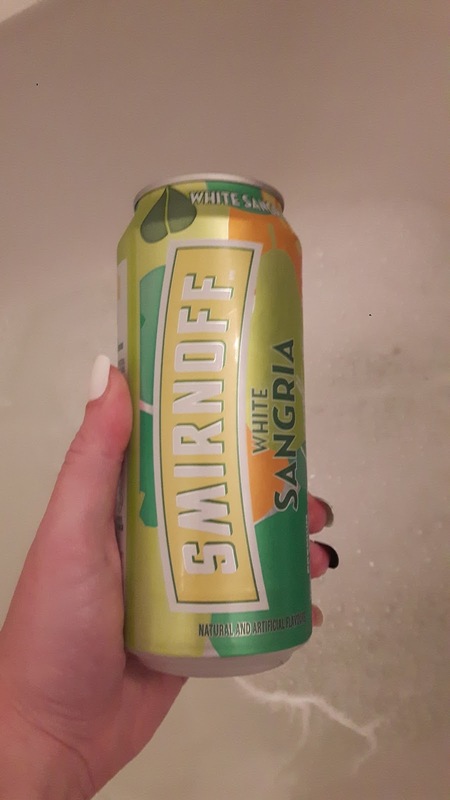 This one I found particularly sweet, so if you're looking for the kind of drink that really masks most of the alcohol taste, this is for you. Regardless of your summer beverage choice, please remember to enjoy responsibly.